T is for the Twisted Mind of Stefan Jones . . .
Twenty-six ways to get into trouble in a variety of science-fiction settings! Whether it involves deciphering intelligence reports disseminated in comic books or being brainwashed by the most comfortable bed in the world, you'll find over two dozen adventure seeds within, each more unusual than the last. A MacGuffin is an object of desire for someone, somewhere – perhaps they only wish to purchase it, but more likely they're willing to lie, steal, and murder to acquire it. 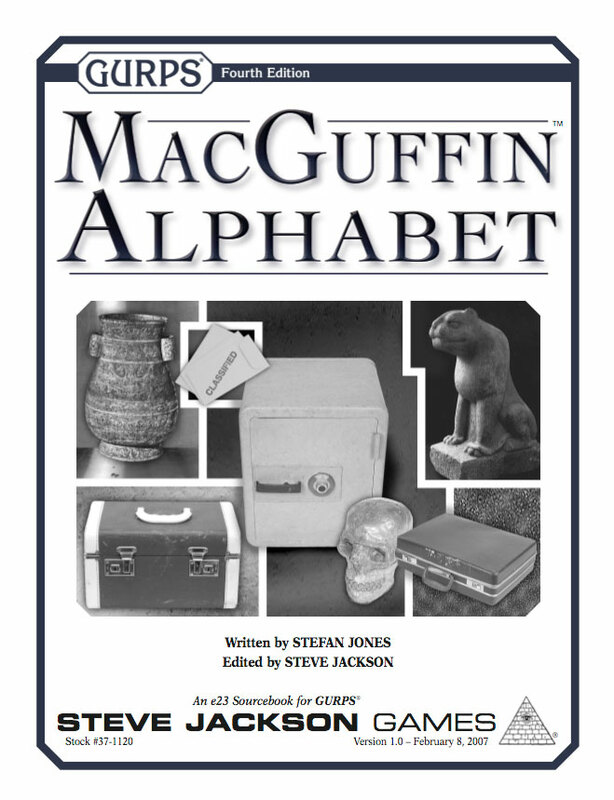 Written by Stefan Jones (GURPS Uplift), MacGuffin Alphabet gives GMs more than just an excuse for action. Each item creates a springboard for charater interaction, and usually a little adventure. If you want a mysterious aristocrat to hire a small team to "acquire" a copy of a musical meme hazard; if one of the heroes has found a pretty trinket that's going to start a war the next time he's seen wearing it in public; if you just want an encounter that's far off the beaten path . 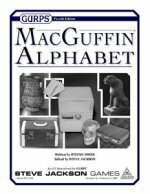 . . look to the MacGuffin Alphabet! GURPS Alphabet Arcane contains 26 more items that can serve as the center for adventure and intrigue – only these MacGuffins draw on the power of magic!